Note: EduClips will be taking a vacation, returning on the morning of Monday, July 16. 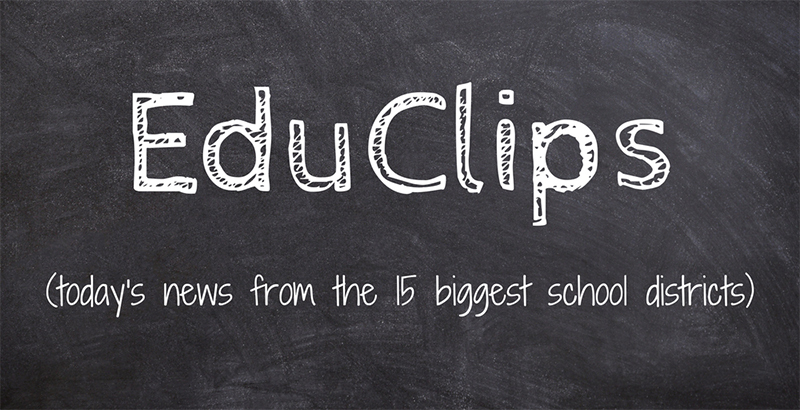 Watch for a special edition of EduClips to appear Monday, July 2, outlining some of the major recent stories affecting America’s 15 largest school districts. TEACHERS UNIONS — The Supreme Court in a sweeping decision Wednesday upended the way public-sector unions do business, ruling that dissenting employees cannot be compelled to pay any dues, and that union members must affirmatively opt into membership — rather than requiring dissenters to opt out. Forcing dissenting employees to pay dues violates First Amendment protections against compelling speech, Justice Samuel A. Alito wrote for the majority in the 5-4 decision that was both highly anticipated and widely expected.